Getting tired of plugging and unplugging the USB cable when you're debugging an Arduino project? 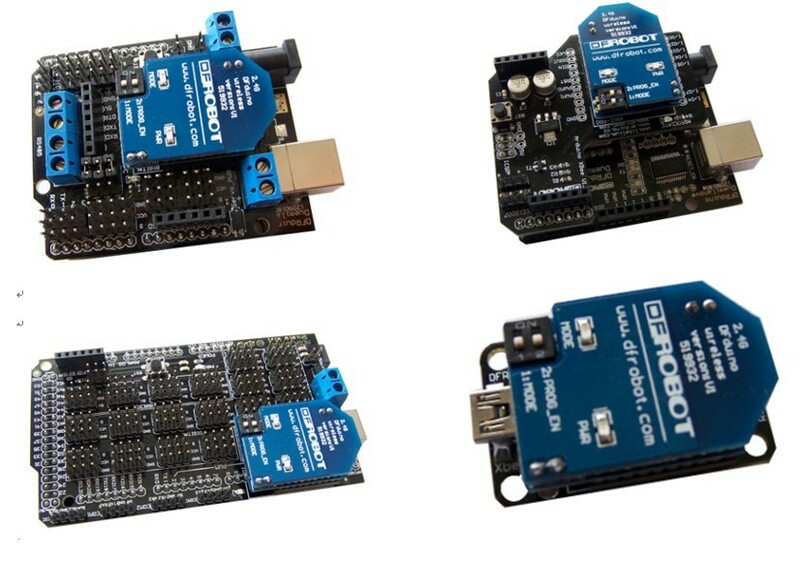 This wireless programming module is designed for wireless uploading of sketches/codes to Arduino. With up-to 5 meters range, you can bring your laptop wireless program your already deployed Arduino based devices which may be hard to open. Cut the wire, and try this superb communication module. This module can also be used as a standard bidirectional wireless communication module with up to 20 meters range and 115200 bps speed(line in sight). When uses as communication modules, it exchanges data as a transparent serial port. Only Tx/Rx will be required to do the transmission. Suitable for outdoor Arduino based devices. 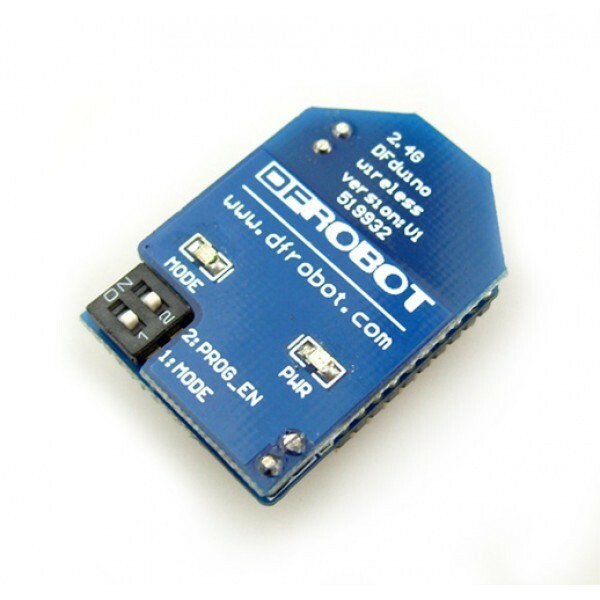 Suitable for Arduino based robots. Suitable for devices which are hard to reach. DFRduino Mega IO Expansion Shield V1.2. Mega IO Expansion Shield V2.1. 1. 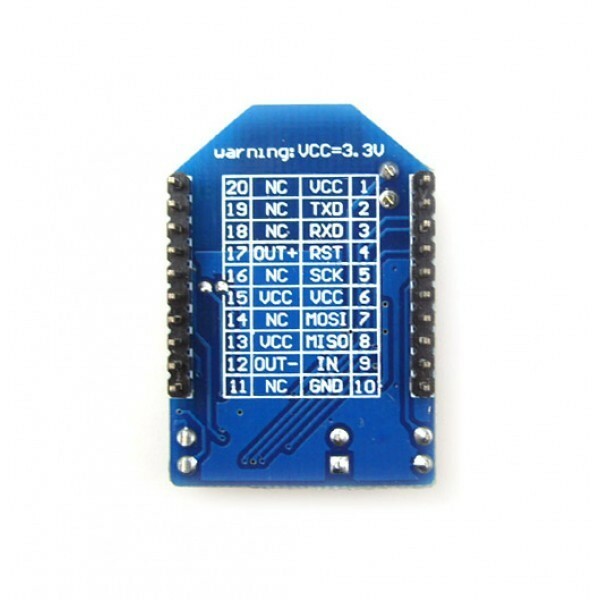 You will need a pair of this module to perform wireless programming. 2. It's not compatible with Arduino Leonardo series processor. Arduino Duemilanove or Nano w/ ATmeg328. Arduino Diecimila,Duemilanove,or Nano w/ ATmega168. 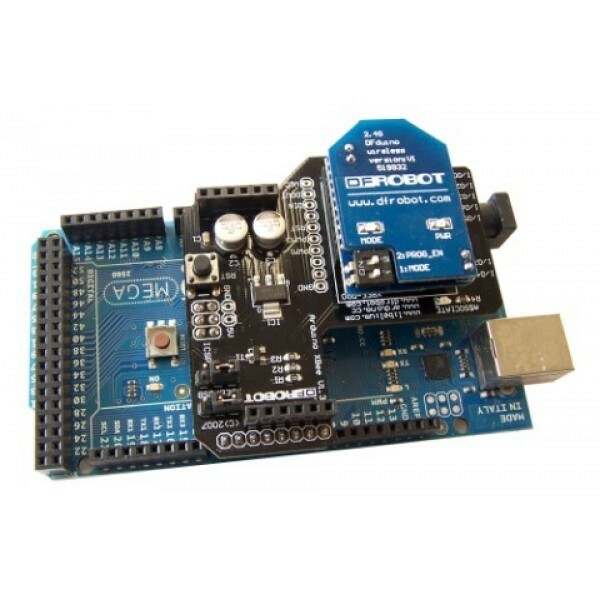 Arduino Pro or Pro Mini (5V,16MHz) w/ ATmega328/168. Arduino Pro or Pro Mini (3.3V,8MHz) w/ ATmega328/168. Arduino NG or older w/ ATmega168/ATmega 8. Working Temperature: 0 - 70 C.
Communication Range: 20 Meters (line in sight).